Keltec RMR30 with Gemtech 22WMR suppressor and ATN MK390 night scope. 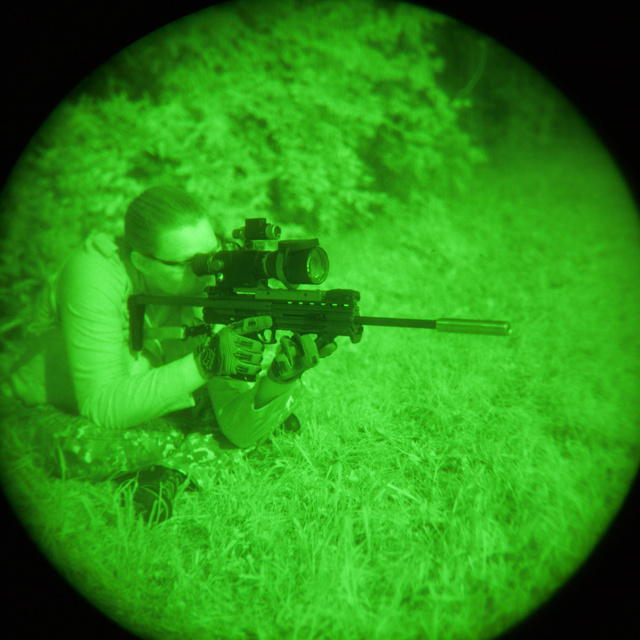 The infrared illuminator above the scope is turned off. Magpul backup sights for daytime use are folded out of the way. Both photographed with 35/2 lens behind through ATN NVM14 night vision monocular. 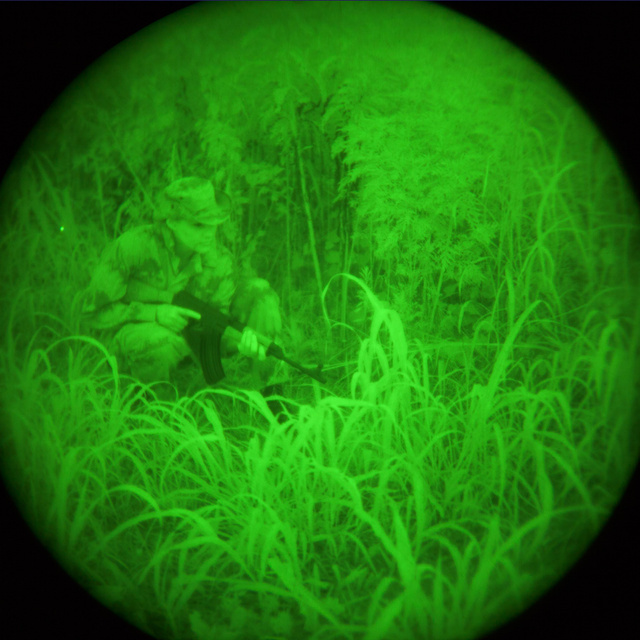 This entry was posted in camera and lens, light/laser, rifle, sound suppressor, weapon and tagged infrared, monocular, night vision. Bookmark the permalink. Considering that’s an ITT I-squared tube with typical early 90’s performance, those are great pics. Is the out-of focus effect on the edges of the tube intentional, or a focus mismatch between the monocular eyepiece and the camera lens? Usually setting the camera to a fixed infinity focus and then dialing in the diopter to zero will give the best depth of field in the intensified image.